Two Great Camps. One Unforgettable Summer. Since 1978, Neighborhood Studios has provided authentic, cultural experiences for youth in Bridgeport, and we have seen successful results for those participating in our programs. The impact is real and immediate. What Impact Do Summer Programs Have for Low Income Students? The article also reported on the disparities between income level and youth participation in cultural activities and summer programs. Only 15% of low income youth participate in extracurricular arts activities and, even fewer -- only 7% -- participate in summer programs. 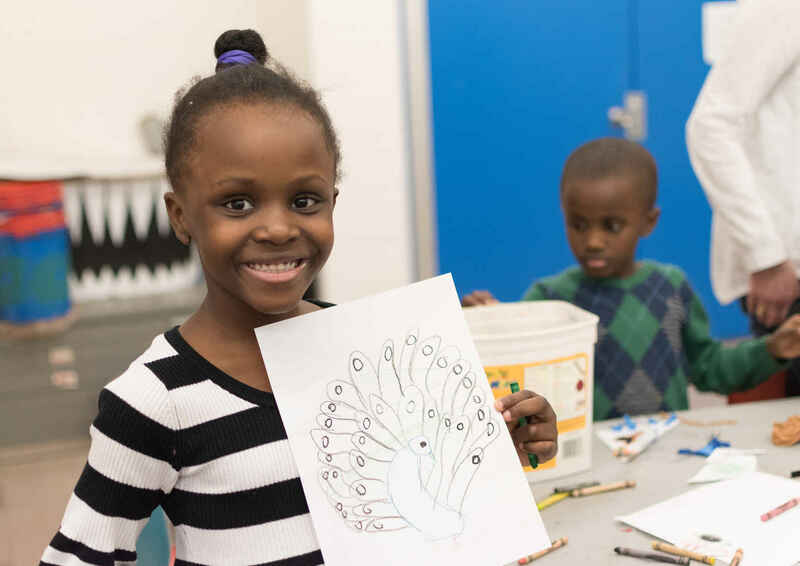 Neighborhood Studios offers two summer programs uniquely designed to meet the cultural and educational needs of Bridgeport youth. Your support will guarantee access to these quality programs and help these youth reach their potential. Camp Hart, a summer program for children with special needs, provides arts educational opportunities and reading enrichment. The children also experience field trips, swimming, and performing on stage. Special needs children have opportunities to form friendships and learn to resolve conflicts. Since 2013, children who participate in Camp Hart demonstrate improved reading and comprehension skills. Conservatory teens participate in an intensive study of a single arts discipline, develop job readiness skills, practice their creative writing, and wrestle with the problems facing their community. They confront these issues through their art, dance, music and acting and become empowered to be better citizens. Since its inception in 2000, more than 90% of the youth who participate in Conservatory graduate high school, compared to the city’s average of just 67%. Your donation will make a lasting impact in the lives of children and youth.